I've heard this firsthand from Iranian converts. I've heard it firsthand from Christian leaders who have worked with these converts inside and outside of Iran. And I've heard it from missiologists whose job it is to track such things. And it's reminiscent of the conversion of tens of millions of Chinese behind the cover of the Bamboo Curtain. Missiologists were reporting it for years before the rest of the world found out about it. Now, it is an open secret, leading to headlines like this, from April 14, 2014, in the UK Telegraph: "China on course to become 'world's most Christian nation' within 15 years. The number of Christians in Communist China is growing so steadily that it by 2030 it could have more churchgoers than America." When it comes to Iran, already in 2006, Reza Safa could write a book titled The Coming Fall of Islam in Iran: Thousands of Muslims Find Christ in the Midst of Persecution. 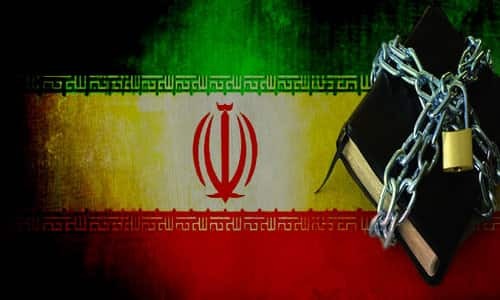 The website of Safa, himself a former Iranian, Shiite Muslim but now an evangelical pastor, declares, "Despite severe persecution by the Iranian government against underground churches, God's Word is spreading like a wildfire all over Iran. Pastor Safa believes that Iran will be the first Islamic nation to convert to Christianity." This may sound like a pipe dream, but consider that a 2012 Pew Research report claimed that, "The share of the population that is Christian in sub-Saharan Africa climbed from 9% in 1910 to 63% in 2010." And much of this growth occurred in the midst of Muslim-majority populations. The same thing is happening throughout the Muslim world, confirming an article on the National Catholic Register which claims that, "Muslims Are Converting to Christianity in Record Numbers." This too has been an open secret for many years now. When it comes to Iran, the article repeats the claim that there are now three million Iranian Christians, which would mean a massive jump from the numbers posted in the respected prayer guide, Operation World. It claimed a total of 384,897 Christians from all backgrounds in Iran (compared to 74,054,491 Muslims), with just 117,678 listed as evangelicals. Getting from here to three million is extraordinary. That's why Mohabat News (the Iranian Christian News Agency), reported in August, 2017, that, "Christianity has been growing at an exponential rate in the last couple of decades in Iran, causing the Islamic government a great deal of concern. In a most recent expression of their distress, one of the high profile Islamic seminary officials, Ayatollah Alavi Boroujerdi, stated 'accurate reports indicate that the youth are becoming Christians in Qom and attending house churches'." And, the article continues, "this is not a new development. Earlier reports had also shown a surprising rise in the number of Iranians turning away from Islam and converting to Christianity." That's why Fox News could report in 2016 that, "The number of Muslim converts who are risking prison or death by secretly worshipping as Christians in Iran's house church movement has grown to as many as 1 million people, according to watchdog groups." Something powerful is happening in Iran, despite the intense persecution Christians are facing. My sources have been telling me that: 1) it's only a matter of time before the number of these conversions reaches a critical mass, allowing these new Christians to emerge from the underground into the public eye; and 2) it is the Iranian regime that is our enemy, not the Iranian people, many of whom love America and hate what the radical Islamic leadership has done to their country. We should pray for these courageous Christians, and, more broadly, stand with these Iranian protesters. It could well be that there many secret converts among them. And we should applaud our government for letting Iran know that we are watching them carefully right now. It could be time for this great, hidden story to be known to the whole world.